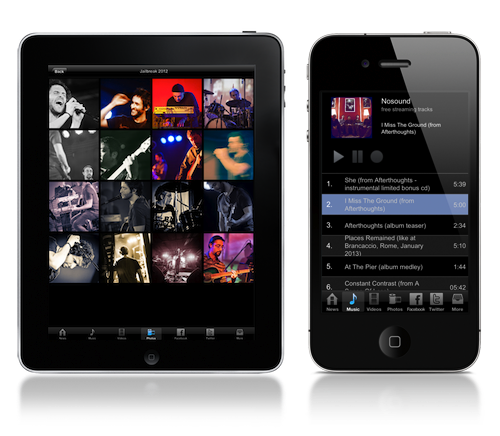 The official free Nosound band app for iPhone/iPod Touch/iPad! Stay updated with the latest news, live gigs, exclusive audio/video material, extended and searchable discography and lyrics, hundreds of pictures from live gigs, social networks connections and much more! More features and material will be available from the app weekly and monthly, all for free! Check out Nosound music on iTunes Store, and don't miss the other Nosound iPhone app, Evotion, a music synthesizer developed and used by the band for their last two albums!